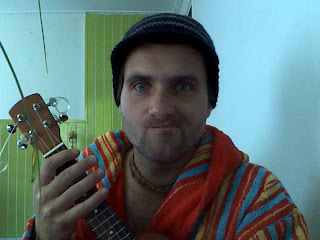 I know-the next song on my list was Milow's "You Don't Know", but in the meanwhile came up chords for LP's "Leave Out All The Rest", so I couldn't stop myself to don't practice this song as well. Morning fun with Linkin Park-Leave Out All The Rest from Maiski on Vimeo. That's the number what I am working on recently. It is not an easy song to play and sing at the same time. But, still I am having lots of fun just practicing. Somewhere Over The Rainbow from Maiski on Vimeo. White sandy beach from Maiski on Vimeo. Beginnings are mostly the worst part of everything. But when you got started later on things seems going pretty smoooooth :) I hope that it is going to happend to this blog as well.